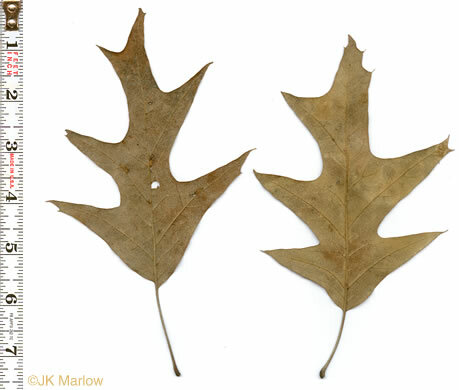 Your search found 4 image(s) of leaves of Cherrybark Oak and Southern Red Oak. Leaves grayish and densely hairy below, per Woody Plants of the Blue Ridge. 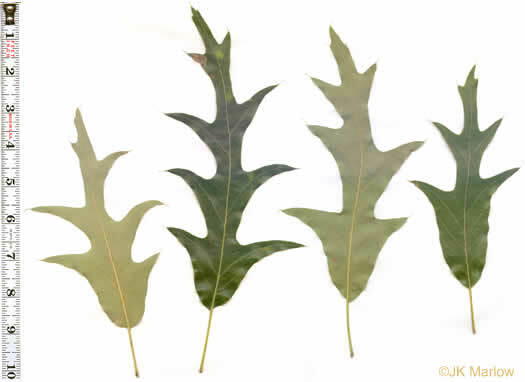 Leaves conspicuously U-shaped at base, terminal lobe frequently strap-shaped, per Trees of the Southeastern United States. 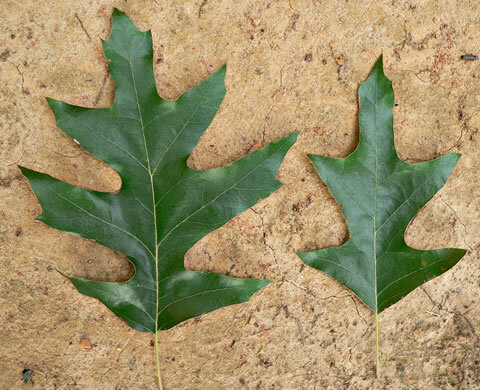 Leaves more regularly lobed than Q. falcata, the base broadly wedge-shaped, per Native Trees of the Southeast, An Identification Guide. 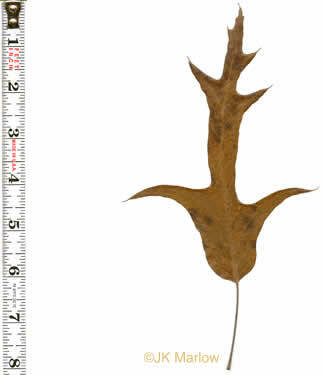 Middle lobes usually spread at right angles to the midrib, per Field Guide to Native Oak Species of Eastern North America.